USRowing's activities this week illustrates how one nonprofit organization uses social media to share content using Bitmenu links. The revenue they generate covers their media production costs. This week's event was a National Selection Regatta. The winners in the featured men's and women's categories will go the the FISA World Championships in Bled, Slovenia to represent the US in the single sculls event. USRowing issued a series of press releases, tweets and Facebook posts to keep the press, their friends and followers up to date. All races were streamed live from the race-course, and the four featured races were then made available for sale and download via Bitmenu at 7:30am the day following the racing. USRowing issued its first press release two days prior to the event and included a link to where the featured races would be made available for sale once the event had concluded. The fact that all events were streamed live from the race course doesn't seem to reduce demand for their post-event videos at all. 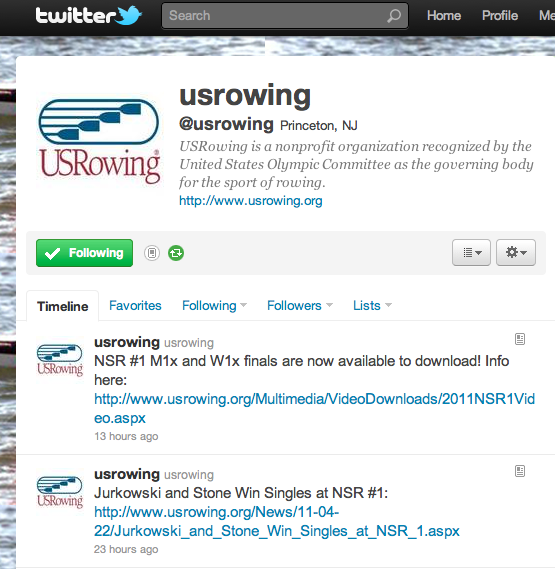 With the release available on www.usrowing.org, the tweets and posts started with simple links to the notice. As the racing progressed throughout the event, including delays and re-scheduling due to weather, @USRowing issued no less than 62 tweets to their 2,442 followers and 11 Facebook posts to their 12,500 friends. 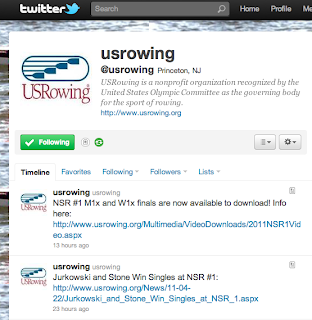 Just ten hours after the completion of racing was announced, USRowing's bitmenu links were posted to their web site and announced on both social media platforms at 7:30am (eastern) this morning. On the Bitmenu service side, the first USRowing sale and download occurred at 7:34am (eastern) and was followed by a steady stream of purchases throughout the day. The event videos from USRowing are so well announced to the core audience that when someone goes to purchase, we note a very low level of attrition.